In this video, we explored DP Mall, one of the malls in Semarang, Central Java, Indonesia. Not only the Carrefour part, we also watched a movie and ate Currywurst. My boyfriend explained the difference of Currywurst with other sausages. He ate the Currywurst but seemed like he didn't really like Indonesian version of Currywurst, he still thinks that original German Currywurst is the best, lol! Then we enjoyed Bunderan Simpang Lima in the evening. 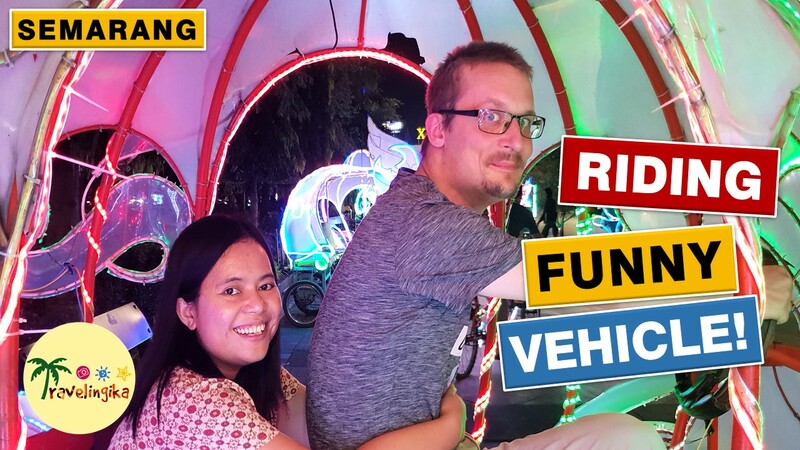 We rode a funny-looking vehicle and captured many photos of the surrounding. Around 8 p.m. we were headed back to Ungaran and before I took him back to the C3 Hotel, we went to Superindo to buy some things that he missed so much: Pop Mie and Super Bubur! The gear that I used to make this video: GoPro Hero 6 Black, 1080p 60fps. If you like the video, give the thumbs up, and for more videos please consider subscribing. Thanks for watching!